Finding Locks on Tables - bzzzt! 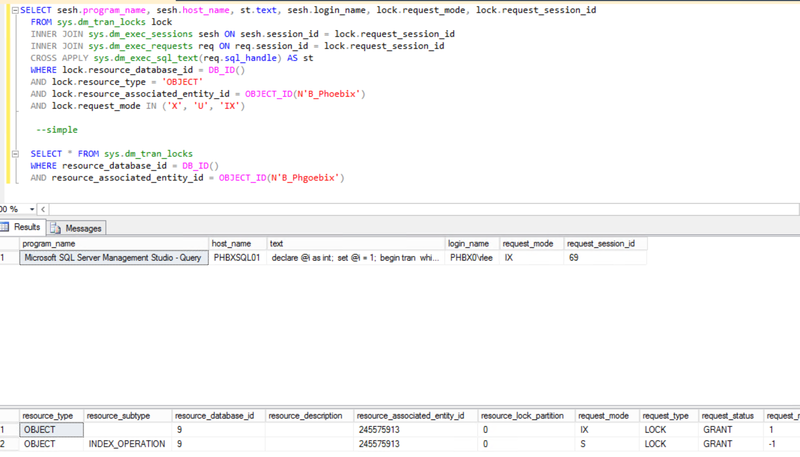 Recently I needed to find a stored procedure that was creating a lock on a table and updating the table regularly. So my starting point was the table name, but I needed to find where the commad was coming from that was locking the table, and what stored procedure was doing the update, if any. As I could not be sure that it was a sproc, I wanted to make sure that I also got the program name. The results of the queries whilst I was running a long running update on a table is below.